Stefano Boeri Architetti has the world’s attention. In 2014, the Italian firm completed its Bosco Verticale – or vertical forest – in Milan, which clad a 110-metre residential tower in 900 trees and more than 200 plants. 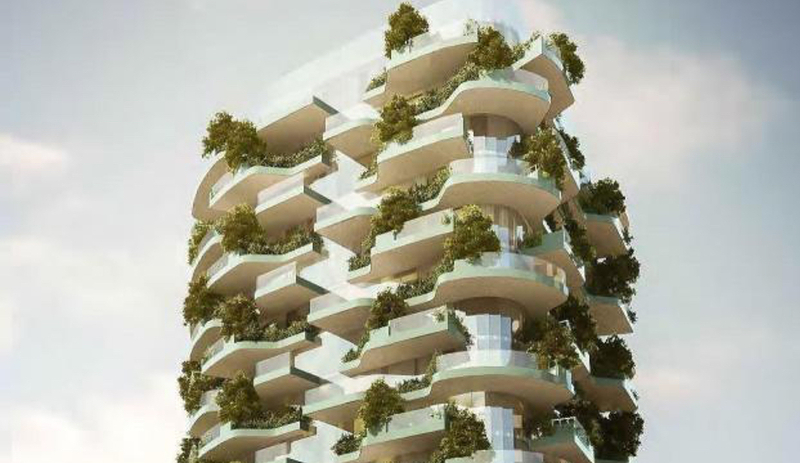 It would be a studio-defining project, and over the next few years, Boeri would refine his vision: he has since imagined vertical forests in Eindhoven, Paris and Nanjing – the latter of which we named a project to watch in 2018 – which promote biodiversity while cleaning the air and reducing energy loads. 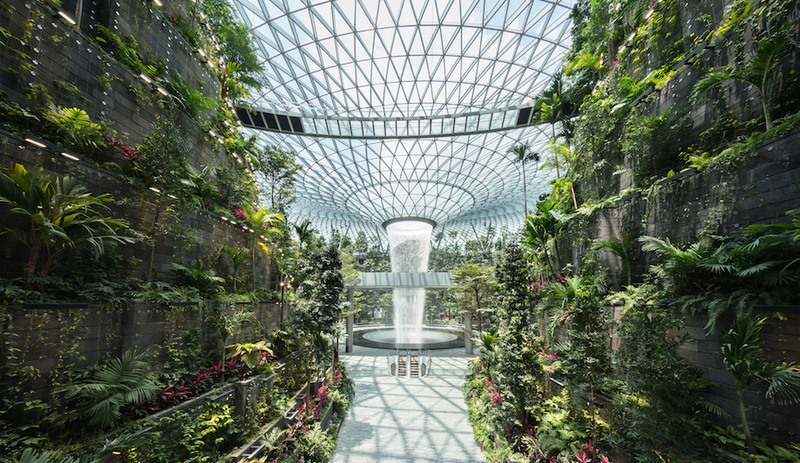 It’s a concept the firm takes so seriously, it has envisioned vertical forests on Mars. Boeri is influential, but he’s not alone. 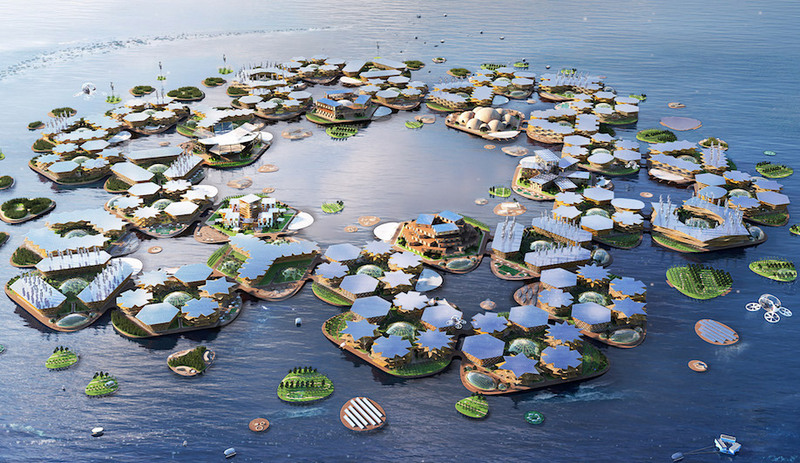 Over the last few years, green towers – designed by a number of different firms – have been proposed, or built, around the world. Here are three future projects to keep an eye on. 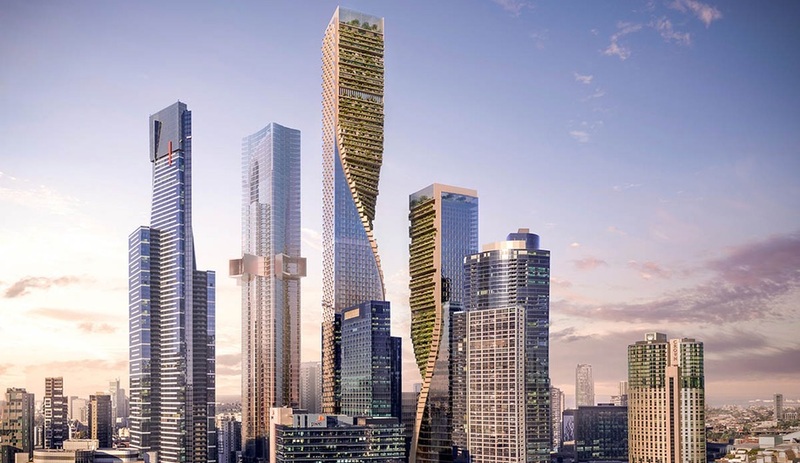 In August, UNStudio and Cox Architecture won a competition for a $2 billion dollar, mixed-use project that will transform Melbourne’s skyline – and introduce Australia’s tallest building. 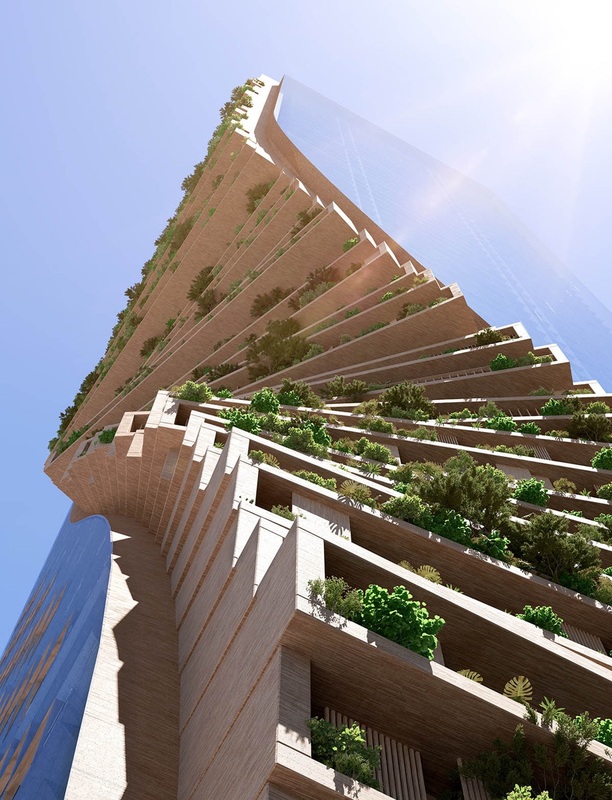 Dubbed the Green Spine, the project will include two twisting towers – the highest point rises to 356.2 metres – that will add residential, commercial, hospitality and exhibition space to the Australian city. Built on a 6,000-square-metre plot that was formerly a BMW dealership, the buildings twist to create a stepped face, which adds ample space for terraces and balconies – where shrubbery and trees can be grown. Green Spine’s flat edges are pixelated, alternating between glass and green surfaces. The taller building, while entirely residential, will be the eventual home of the Future Botanic Garden, a public park in the sky. 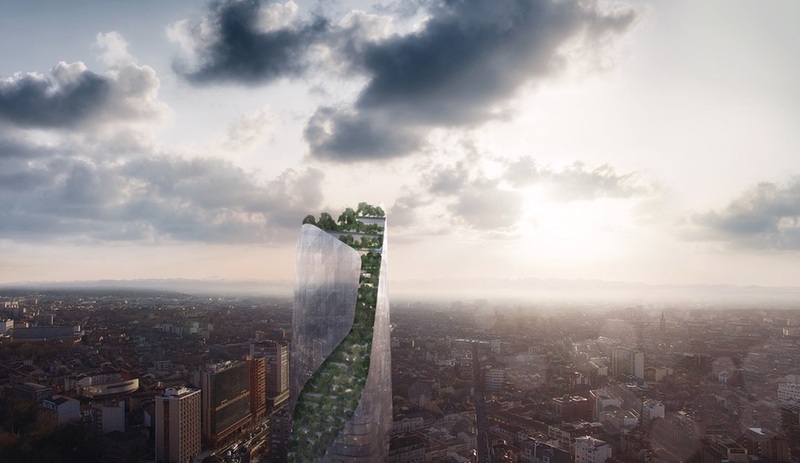 Studio Libeskind‘s concept for Toulouse’s first highrise adds a dramatic green ribbon to the French city’s sky. The building, like Green Spine, is mixed-use, adding 120 residential units, a Hilton hotel and 120 apartments. 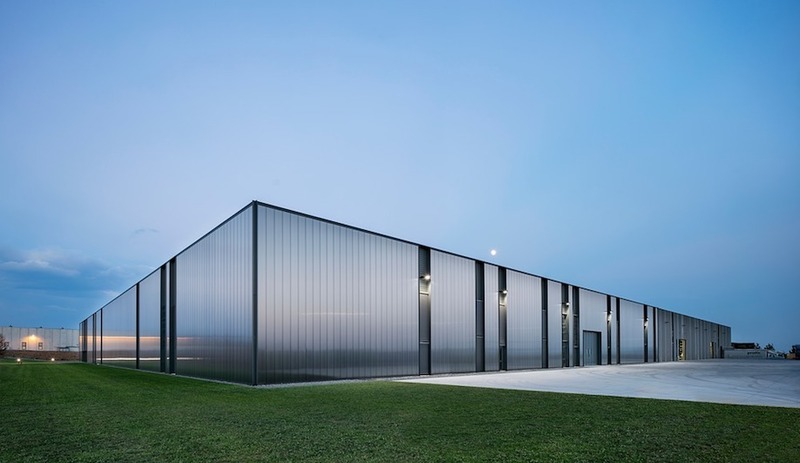 Imagined on the site of the former postal centre, Occitanie’s silvertine glaze will reflect Toulouse, while its green strip will wrap around the building, bringing foliage to the building’s 150-metre peak. Landscape architect Nicolas Gilsoul has been tapped to design the green ribbon, whose meandering form references the Canal du Midi, which runs through Toulouse. 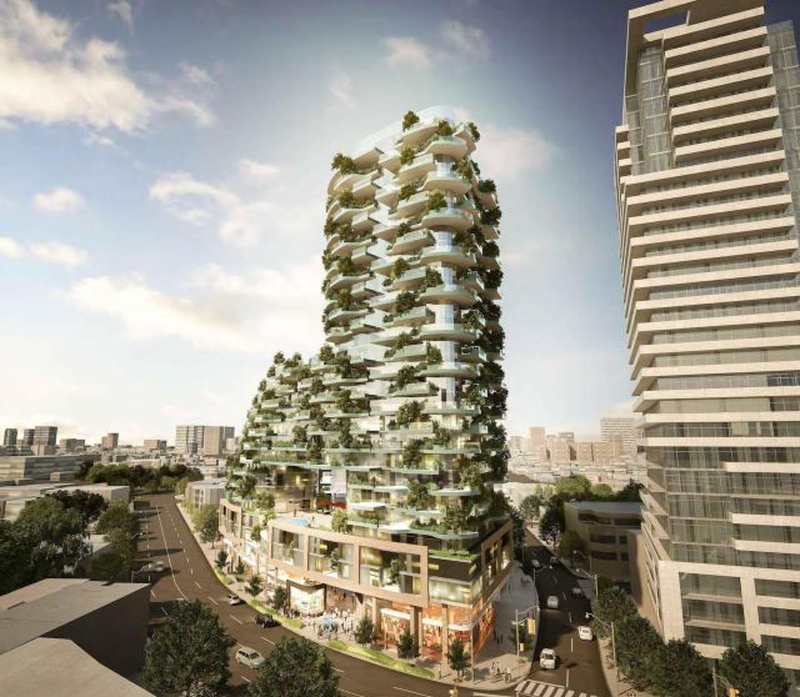 Rising from a landscaped platform, the vertical gardens will include trees – which will change the complexion of the building as the seasons turn. 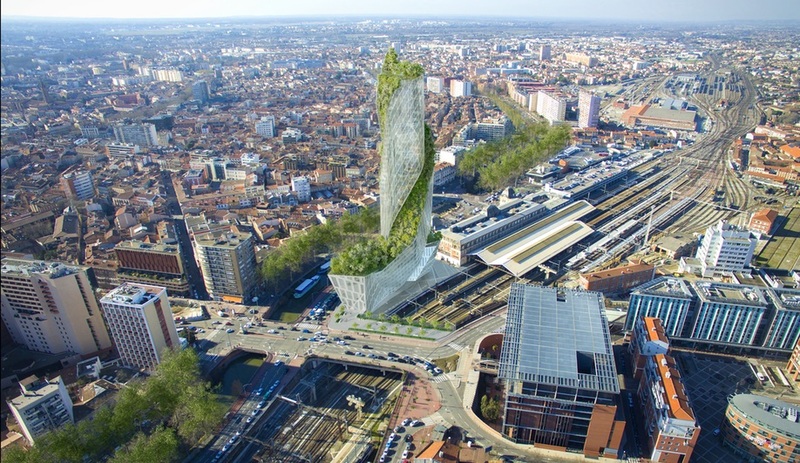 Elsewhere in France, Boeri has also designed Forêt Blanche, a 54-metre Parisian tower that will host 2,000 plants. Toronto’s tree cover currently sits at roughly 20 per cent – and mayor John Tory has pledged to increase the city’s tree canopy by 40 per cent (which is also something his mayoral challenger, planner Jennifer Keesmaat, values highly). That’s an aggressive goal for a city that has undergone rapid development in the last decade, but proposals like Designers Walk may offer a solution. Since being proposed in 2013, the Yorkville project has evolved into a tower that stretches along a block of Davenport. Designers Walk rises from a retail podium to top out a 27 storeys. 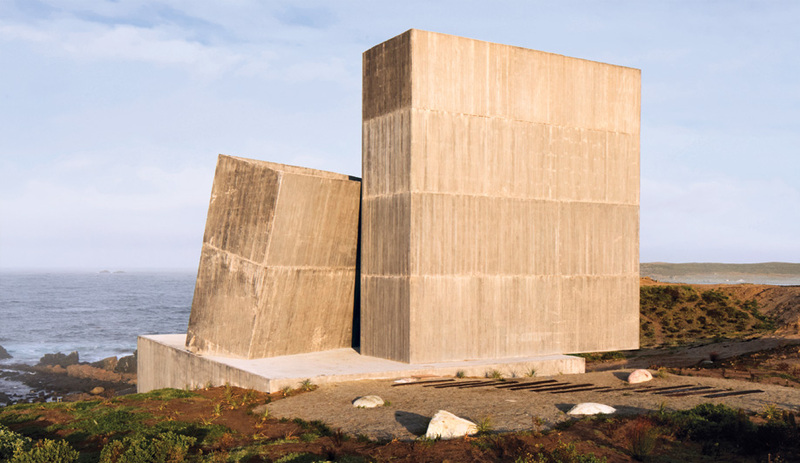 Designed by BBB Architects on a guitar pick-shaped lot, the building slopes upwards towards its peak, creating generous terraces. These outdoor spaces, reports the Toronto Star, will host between 400 and 500 deciduous trees and 11,000 plants in woven planters – an amount that, horizontally, would stretch roughly two kilometres. It will also provide valuable research: the University of Toronto and Vineland Research and Innovation will monitor water and nutrient density in the planters’ soil, measuring the effectiveness of – and setting the standard for – similar buildings.